29 piece roadside emergency kit in durable storage case. 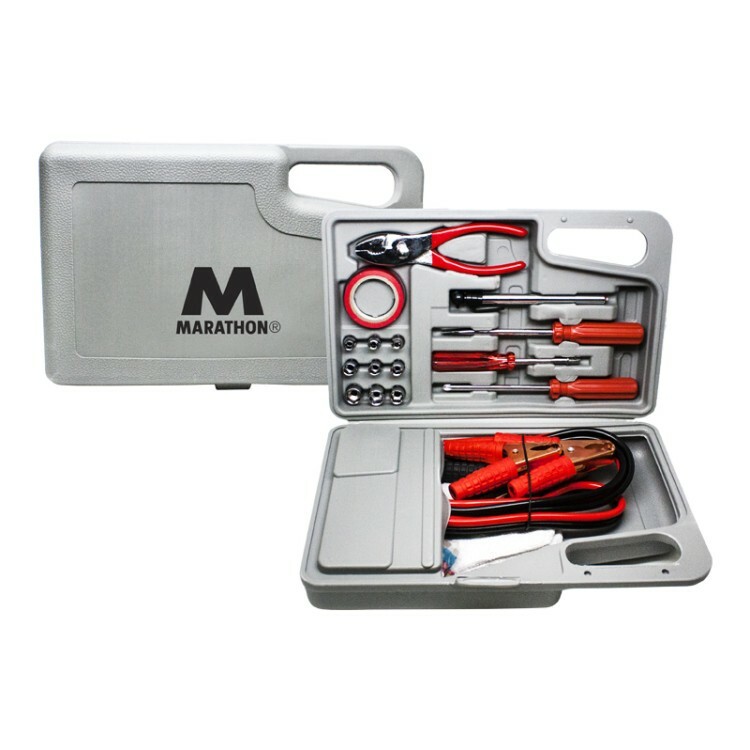 Includes booster cables, gloves, tire gauge, socket handle, flathead screwdriver, phillips screwdriver, pliers, vinyl tape, four auto fuses, terminals and socket sets. Decoration: W 5" x H 3"
W 11 1/2" x H 7 1/2" x D 3"
Shipping Weight: 8 units = 32 lbs.